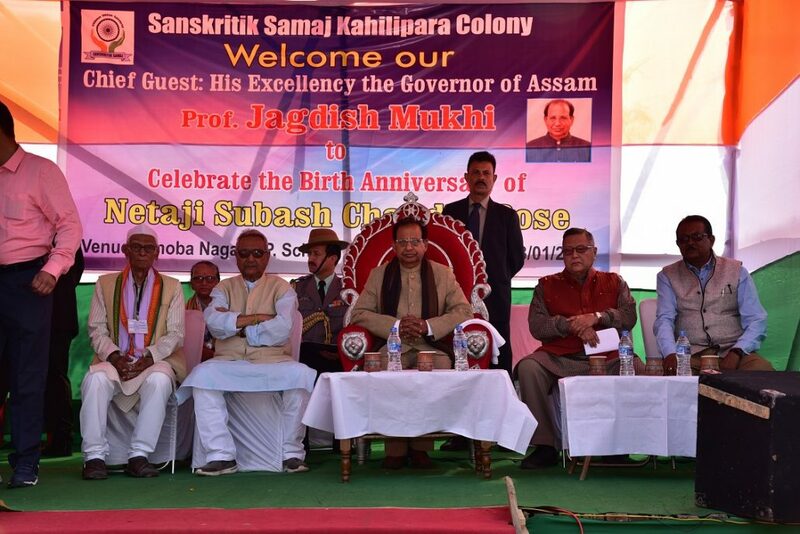 Assam governor Prof Jagdish Mukhi led the state in paying rich tributes to Netaji Subhash Chandra Bose on the occasion of his 122nd birth anniversary at a function held at Binovanagar L P school campus at Bhaskarnagar in Guwahati on Wednesday. Governor Prof. Mukhi also said that such was the towering personality Subhash Chandra Bose was, everybody used to look up to him and his motivation speech used to stir patriotic fervour of the freedom fighters. Of all the speeches he made, none was more popular than the ‘Give me blood, and I shall give you freedom’ that he had made in Burma in 1944 to members of the Indian National Army. Netaji was greatly influenced by Swami Vivekananda’s ideals of sacrifice and service. 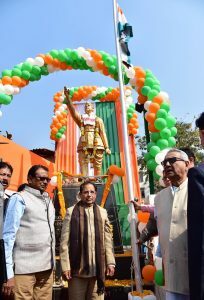 Prof Mukhi also said that Netaji will remain a big inspiration for the youth of the country because of his leadership qualities like courage, strong-willpower, enthusiasm and motivational slogans. Netaji had firm conviction that the destiny of the country depended on the youth. Hence, in his plan of freedom movement, youth had a very special position. His exemplary spirit of patriotism, love, dedication and life-long selfless sacrifices for his motherland will always be a source of inspiration for the youth. The governor also said that Netaji did not receive the acclamation, due recognition and respect that he actually deserved during his life time.